If you’re going for a vintage look this year, then you need this Black Peacock Feather Headpiece to complete your look! 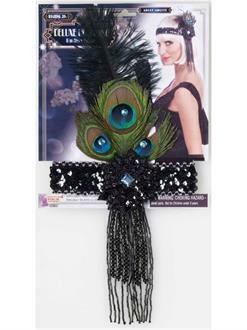 The headband is made of elastic and features a beautifully elegant upright faux peacock feather. Turn heads when you walk through showing off this fun costume piece!